I have finally begun on the smaller groups – and have stitched the first element which doesn’t have an i in it’s name: Lanthanum. As you can see valence electrons begin to be in more than just one orbital per element (remember I illustrate them with the light coloured pearls). 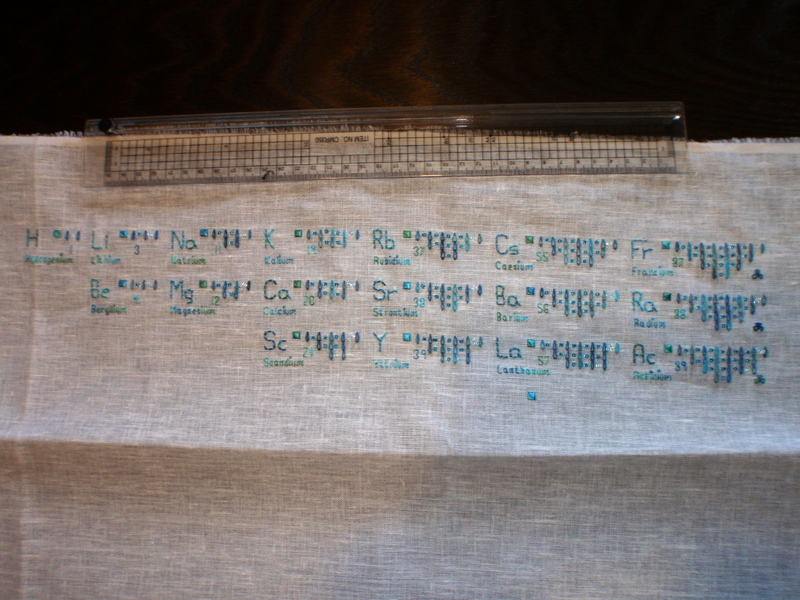 Lanthanum and actinium gives the following groups, which are next in my stitching plan, their names: The Lanthanides and the Actinides. Below here is a picture of the progress so far. The ruler has cm as unit and i added to give you an idea of the size. This entry was posted in Stitching the periodic table on July 7, 2014 by Tea.